The Alabasta range of tabletop accessories is expanding! 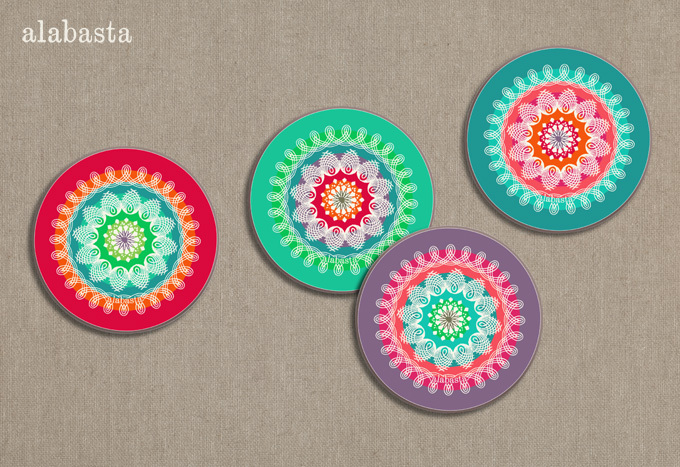 I've just designed some new round placemats to complement the rectangular Folk Stripe mats. These ones feature concentric circles like the best selling trays, have a modern glossy finish and come in four tropical colourways. There are four 28cm mats and four 10cm round coasters all made from top quality laminated eucalyptus wood with a heatproof melamine surface. They can be purchased individually so you can choose whichever ones you like most or create a combination, which is what I would do as I like them all mixed up. They are now available to order on Isabel Saiz' newly launched Avenida Home website, as are all the other Alabasta placemats and platters. Find the coasters here and the placemats here. In addition to these new mats the 30cm glossy glass platter now has an intensely rich red border with shades of pink, orange, teal and kelly green. It's really vibrant - the photo hardly does it justice. It's great for cakes, bread and cheese but it's also heatproof to 180℃ so ideal for hot pans. Find it here. 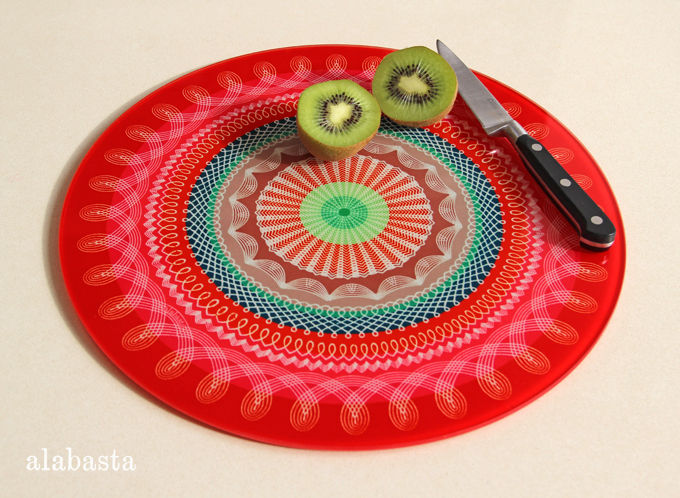 If you're in London and would like to see these and the other Alabasta placemats in real life, they will be on display at Tent London next month where they will be officially launched by Avenida Home on Stand F17. It's at the Truman Brewery in the East End from 20-23rd September and forms part of the jam-packed London Design Festival, a 10 day celebration of London's pivotal role in global design.